This had started out as a post work trip to the New York branch of Ippudo Ramen but it was not to be. Their policy of no reservations meant that even leaving work early there was a 3.5 hour wait in the cold by the time we got there. Instead we decided to do a little walking tour of the best of the Village's Asian eats, buying small plates at three fantastic eateries in the neighbourhood. Mimi Cheng's reminds me of hole in the wall eateries in Asia, a small menu done very well with a quiet Chinese grandma folding dumplings in a corner. The decor is what you might politely call "minimal" a few row tables and some stools surrounded by blackboards harking prices. 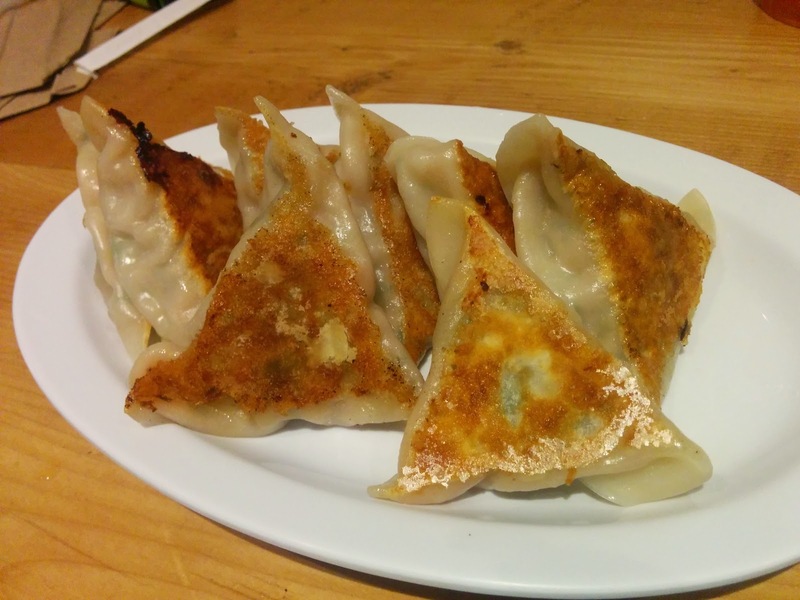 A classic guotie (pot sticker) stuffed with pork, boy choy and cabbage. The wrapper is delightfully thin and folded to in a classic style fried or steamed to order. A lighter Chicken and Zucchini stuffed dumpling is folded into a dim sum triangle shape using the same dumpling wrapper as the classic. Seasonal offerings are made daily and once sold out gone forever; I was very sad to have missed the Autumnal Thanksgiving Turkey dumplings. Still their standard jiaozi and their delicious "secret sauce" take on Chinese spicy sesame dipping sauce are well worth a stop. David Chang is one of those celebrity chefs whose popularity I think is over rated; sure he's brought modern Asian Fusion cuisine to the New York scene but as a long time Sydney resident this is hardly ground breaking to me. Still if you're willing to brave the wait there are some delicious dishes on offer. The hostess is like something from a New York sitcom trope barking orders, turning away even the wealthiest of clients and ruling with an iron fist (and an iPad checklist). They've vastly improved the experience since my first trip to a Momofuku restaurant though. Diners names are taken and a time to seating given. Rather than standing in the cold or jammed into the vestibule, as in the past, we were given the opportunity to wander off and texted when our table was ready. 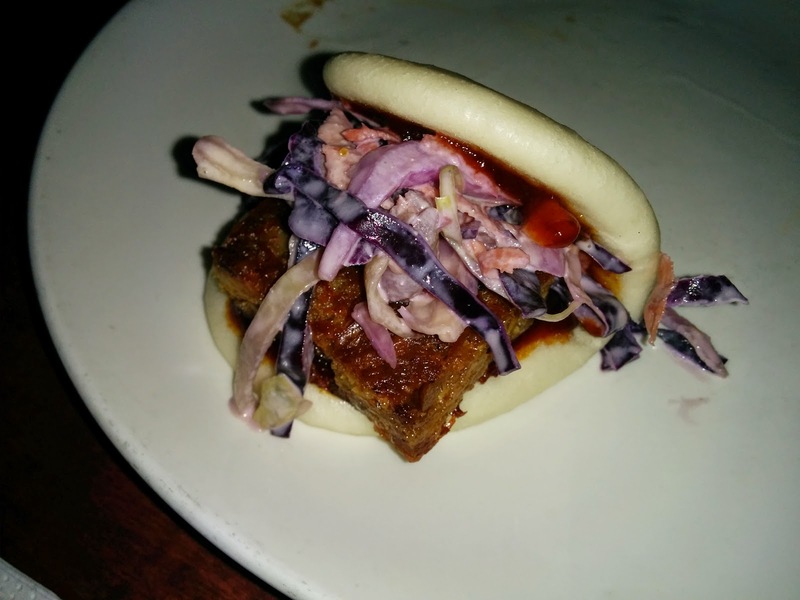 Most of the Ssam menu focuses on Asian influenced dishes and barbecue but I'm here for the Bao. Pure fusion madness that just works. Crispy fried pork belly is paired with one of those ultimate New York flavour profiles - Buffalo hot sauce, crumbled blue cheese and red cabbage coleslaw. 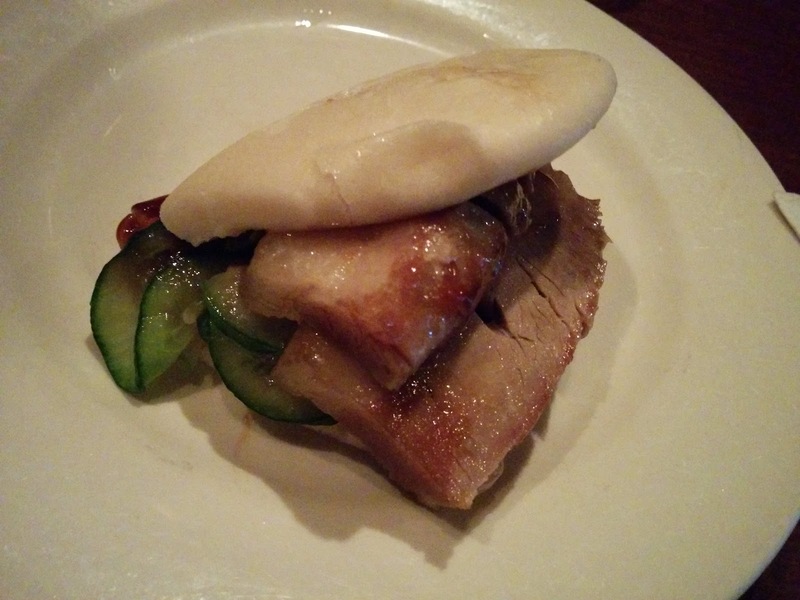 Everything is served on a soft folded mantou bao, a sweet wheat dough known to most from char siu bao. Soft slow baked pork belly matches perfectly with sweet sticky Hoisin sauce, scallion and freshly made pickled Cucumber. BaoHaus was the absolute star for me on this trip. 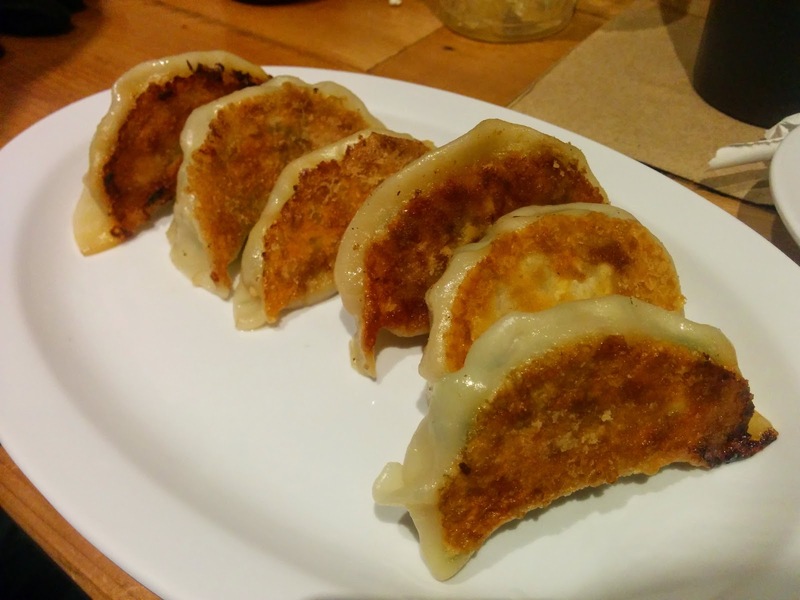 We took a chance on it while we waited for our seats at Momofuku Ssam and honest... it was so good it made Chang's offering disappointing in comparison. 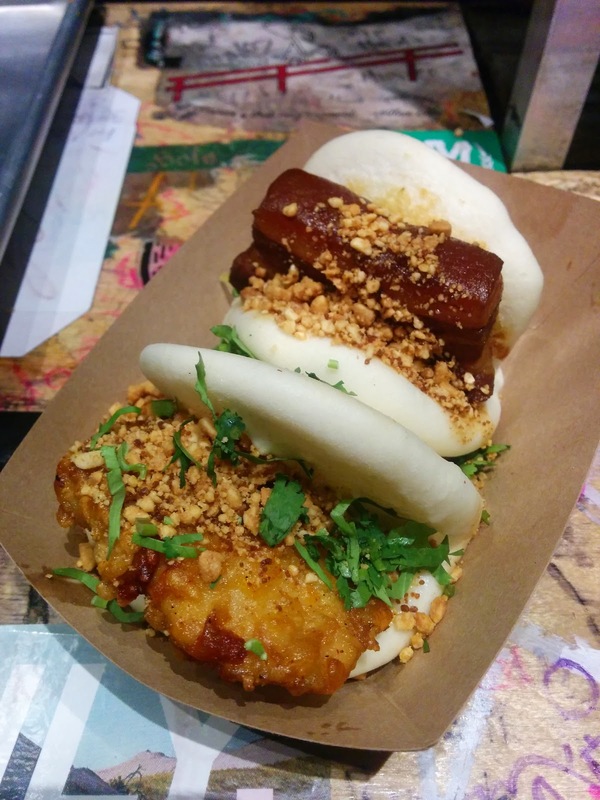 The brainchild of internet darling Eddie Huang BaoHaus offers casual Taiwanese American eats. The restaurant is totally ghetto - covered in graffiti and staffed by super excited urban warriors. Korean and American hip hop streetstars smile and push fried chicken on you gleefully. The staff are all super invested in the business and took the time to chat not only about the food and the restaurant but about our travels and planned New York dining. I can't remember the last time I visited a business with such excited staff and their excitement was infectious as well as being well founded. Sometimes the simple things are absolutely the best and if you're more interested in great food than status BaoHaus is the place for you. Berkshire pork belly is braised in a soy and all spice mix served with relish, crushed peanuts, red sugar, and cilantro. The peanuts and cilantro offer an almost Vietnamese taste to offset the Taiwanese lu rou fan pork. Absolutely amazing, pure genius in taste matching and completely unique to my experience. Soft, moist, brined chicken is breaded in a southern style batter served salted with a mouthwatering citrus aioli and more nuts and cilantro. The fried chicken and mayonnaise is unsurprisingly quite heavy on the stomach (and the waist) but entirely worth it. If I could reverse engineer their aioli recipe I would be one happy cook.